Hey, buddy, wanna buy some n-methyl-1-phenyl-propan-2-amine? At first glance, the two sides of the same man couldn’t be more different. There’s Walter White (Bryan Cranston), the high school chemistry teacher whose midlife existential crisis only grows upon a cancer diagnosis. He’s beaten down, he’s world-weary, he’s distant. Try to talk to him, try to make him laugh — engage him in any way — and get a far-off stare and a mumbled reply. Then there’s Heisenberg (Bryan Cranston), the street name of the most ruthless drug lord in Albuquerque, New Mexico. He’s the bald white man, staring from behind a fedora and sunglasses, slinging the purest meth that addicts have ever snorted. He’s capricious, he’s temperamental, he’s erratic. Try to measure him, try to predict him — cross him in any way — and die. In Breaking Bad, however, Walter is more complicated than your typical Bruce Wayne/Batman split personality. And he’s not just another iteration of Falling Down, of a man driven by circumstances to do horrible things. 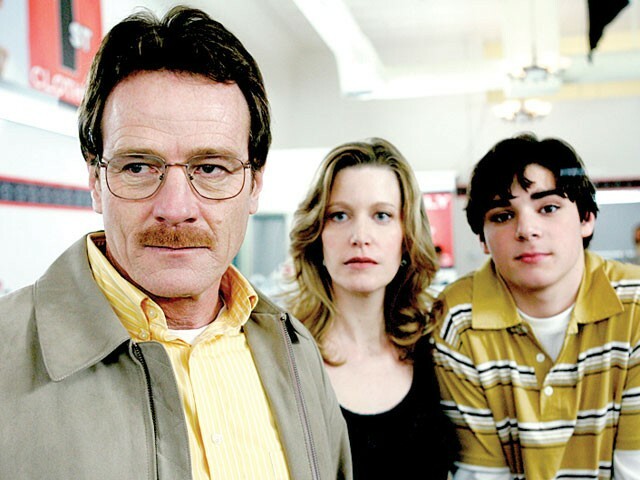 For the first few episodes, I scoffed at how fast Walter decided, ‘Hey, I got cancer, might as well make meth.’ But by Season Two, I understood: Even before the cancer, Heisenberg — his simmering, unpredictable anger — had lurked inside Walter. And as the show progresses, the two sides, the milquetoast and the madman, begin bleeding together. But that’s all a quibble when set against Cranston’s acting. It’s easy for great acting to be about big yelling scenes or crying scenes. Sure, Cranston does those marvelously. But he does nuance just as well. He plays frustration slowly smoldering into a growling resentment. The creeping anguish at seeing the control of his future torn from his fingertips. A gasp of happiness washed away by regret. As Cranston plays the willful suffocation of Walter’s soul, you can see his soul struggle — its pulse quickening, then slowing, then thumping to a stop. Only dead eyes remain. Follow Daniel Walters’ TV commentary at twitter.com/danieltwalters.